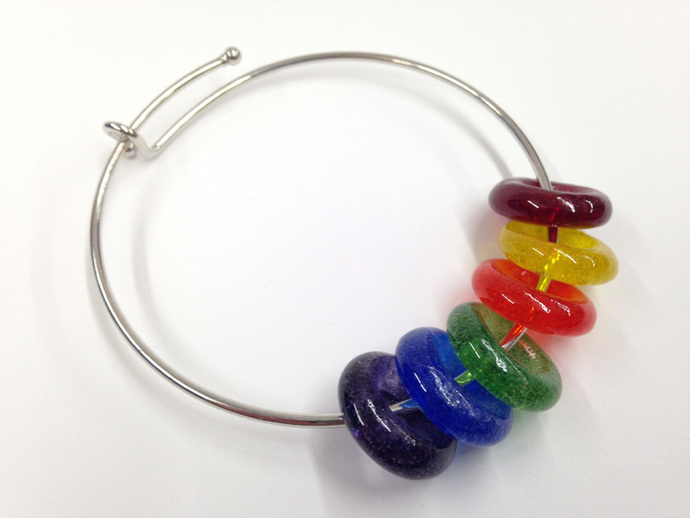 THIS 'LIFESAVER' BEAD Bracelet is fun to wear. It is MADE TO ORDER especially for you. Choose from a variety of colors. 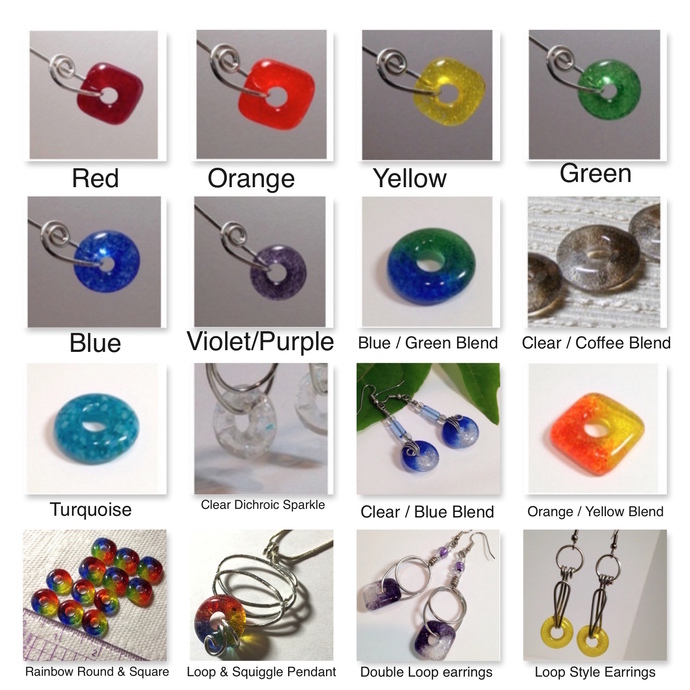 Request a custom combination of colors, as well. Allow 3-5 days to create and ship. 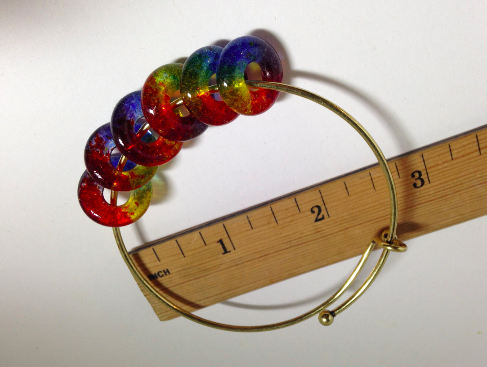 THIS BANGLE BRACELET has 6 round "Pate de Verre" FUSED GLASS RAINBOW BEADS and is created by layering clear glass frit with small bits of colored frits in the hues of the Rainbow into a mold and then melting to 1425 degrees in a glass kiln. 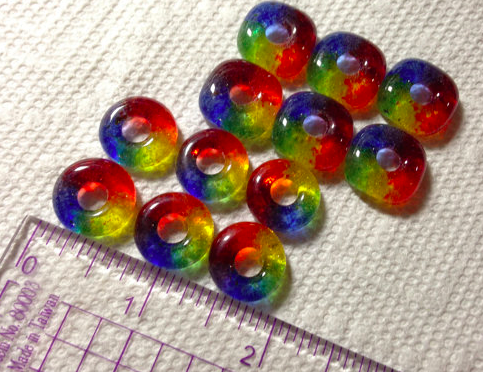 Each bead measures approx. 5/8" across with a 3/16" hole. CUSTOMIZE! 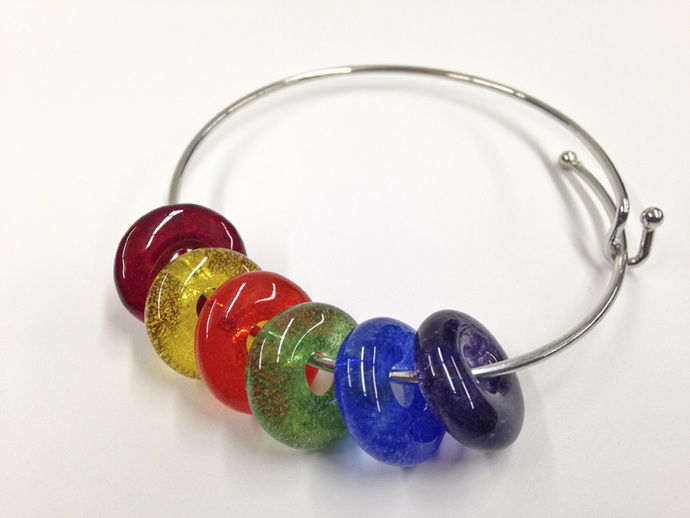 Colors available : Red, Orange, Yellow, Green, Lime green, Medium Blue, Teal, Aqua Blue, Purple. Contact me with your color choices. 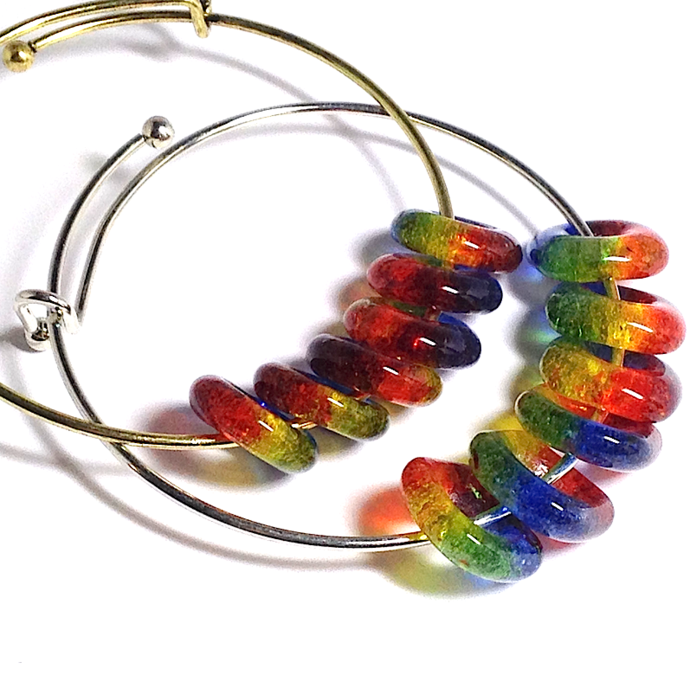 Custom orders will ship within 1 week of placing your order.